To drive through the United Kingdom is to experience astounding history mixing seamlessly with everyday modern life. Sure there are the big-name sites like Stonehenge, the Tower of London and Edinburgh Castle, but what’s really unforgettable are the experiences you don’t expect: lunch in a charming centuries-old pub, a glimpse of a quaint lakeside village, the ruins of a castle that’s barely registered in the history books. Alongside the cultural are the natural delights, from the desolate landscapes of the Peaks District to the overwhelming prettiness of the Lake District and the rolling hills of southern Scotland. This London to Edinburgh road trip showcases it all. A UK motorhome hire is a tried-and-true way of exploring the UK with its traditions of caravan clubs and Sunday drives. Hitting the well-maintained highways will get you where you need to go with no worries - but we recommend getting lost in the lanes once or twice too! Read on for an overview of this very scenic and interesting route from London to Edinburgh, and all the things to see and do in England and Scotland along the way. Then, prepare yourself for the road with our UK driving guide. Ready, set, #LetsGoMotorhome! The south of England awaits once you pick up your motorhome hire and leave London. From beach fun and maritime history to ancient monuments and Roman baths, this leg of the journey is full of amazing places to visit. Although the total driving time is doable in less than a day, we definitely recommend you take your time - you won’t be lacking places to stop for the night! *If you're beginning your trip in Southampton, find your nearest motorhome rental depot here. Many people who visit London fall in love, and it’s not without reason. Although huge and sprawling, this metropolis retains that distinct and charming Britishness that is hard to describe with a single word or phrase. “Cozy” comes close, “quaint” adds a little something, and “understated” goes a long way towards evoking the atmosphere. The city is often called a collection of villages, and you will finding yourself agreeing as you move from neighbourhood to neighbourhood and discover something new in each one. There’s always something to see, do, taste or hear in London - and the diversity of people, culture and cuisine will blow you away. The best course of action is to explore London before you pick up your campervan or motorhome, to avoid the inner-city roads and take advantage of the efficient and extensive public transport. The Tube and the double-decker red buses mean the city is your oyster - as long as you have an Oyster travel card. A Visitor Oyster card is perfect for sightseeing visits, with daily capping so you can travel as much as you like in a day without spending more than a set amount. What you see in London depends on your own preferences and schedule, but there are some major sights you should definitely include on the list. Buckingham Palace, Big Ben, Westminster Abbey and the London Eye are all within relatively easy walking distance of each other in the Westminster and Lambeth boroughs - while you’re there you might catch a changing of the guards, or enjoy a spot of sun in St James’s Park. Trafalgar Square is also in the area, and is home not only to Nelson on his column, but the National Portrait Gallery which contains some very famous paintings and is free to enter. Head along the river to the east and you’ll find another cluster of must-see attractions. The Tower of London and Tower Bridge are an imposing duo, the former offering fascinating tours to the paying public which are led by genuine yeomen who live on-site. Here you can see the Crown Jewels, the White Tower and many more objects and places of huge historical significance. London bridge lies a short distance away, and beyond that is Shakespeare’s Globe. The markets of London are worth a visit - the Borough Market near London Bridge for food, the Camden Market for apparel, lunch and people-watching, and the Brick Lane Market for bric-a-brac. Daytimes can be spent enjoying the many and vast green spaces - Hyde Park, Regent’s Park and Green Park to name just a few. In the evenings, stroll through Piccadilly Circus, Leicester Square and Covent Garden and feel the energy of the city amongst pubs, bars, restaurants and theatres. With so many things to do and see in the city, children will be well entertained. Top family activities depend on the age of the kids, but many of the museums are interesting and interactive enough (or contain enough trains, planes or boats) to be included on the list: the National Maritime Museum in Greenwich, the Natural History Museum in Kensington, the Ripley’s Believe It or Not museum on Piccadilly Circus and the V&A Museum of Childhood in Bethnal Green are probably a good selection to start with. London Zoo and Battersea Park Children’s Zoo are great for sunny days, as are the aforementioned green spaces. Plenty of the activities we have already listed will also be ideal for older kids, like the London Eye and Buckingham Palace - the options are endless in this big city! When the time comes to depart London, pick up your motorhome hire and head south to get on the M23 towards Brighton. It’s a short journey out to the coast once you are free of traffic. One of England’s most famous cities by the sea, Brighton is known for its pier by day and its nightlife once the sun goes down. It is colourful and fun, and your best opportunity to get in some time on the beach. The pebbled stretch of sand and the seafront promenade are the centre of much action - street performers, cafes and bars, water sports and sailing are among the best features of this seaside resort. To get a handle on it all, consider a ride on Brighton’s Wheel - the coastal answer to London’s Eye. 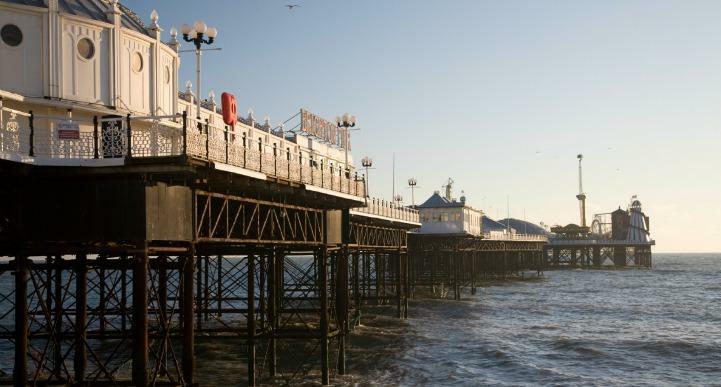 The Palace Pier is the official name of Brighton’s iconic pier, and it boasts arcade games, fairground rides and lots of somewhat cheesy family fun. The Sea Life Centre is another great destination for young and old alike, the oldest working aquarium in the world, and Brighton has an array of playgrounds and leisure activities like mini golf, bowling and cinemas. Although Brighton can seem a little on the frivolous side, there is culture and history to be found here. The Royal Pavilion is one of the most opulent and exotic buildings in the country, dating back to the early 1800s with impressive oriental architecture . It seems positively out of place in England, but is a fascinating place to tour while you are in Brighton. “The Lanes” is an historic quarter, once the heart of the fishing village around which the city was built, where visitors can get lost in the lovely old twisting alleyways which now house boutiques and jewellers. The Booth Museum of Natural History is a quirky place full of taxidermy - an interesting alternative to the more mainstream museums! Should you wish to extend your stay in Brighton, and start fresh the next morning, there are plenty of caravan parks and campsites in the surrounding region, both coastal (Buckle Holiday Park), and country (Sheepcote Valley Caravan Club site). When it’s time to move on, make your way westwards along the coast on the A27 - getting off here and there to visit some smaller seaside villages should you so choose! This busy port is more than just cruise ships. It has a strong maritime history, and also hosts many plays, musicals and live music in the many theatres found around the city. Visitors like to peruse the museums and galleries of Southampton, walk along the signposted course of the original city walls, learn to sail or take in some history and a pint at the Red Lion pub in High Street. SeaCity Museum, once known as Southampton’s Maritime Museum, should definitely be on your list of things to do in Southampton, even if you forgo everything else. As well as the general nautical heritage of the port, the museum tells the story of the Titanic, a ship which has captured the imaginations of millions after her ill-fated inaugural voyage. She departed Southampton on the 10th of April 1912, and the city’s strong ties with the disaster are apparent through the artifacts, video and oral recordings on display. Upon leaving Southampton, say farewell to the sea and head inland on the A36. Soon after turning away from the coast you will find yourself in Salisbury (“Saulsbry”), a city with an immense history stretching back to the iron age when a fort was constructed on the hilltop at Old Sarum overlooking the city. In the current era, it boasts a majestic cathedral and charming half-timbered Tudor houses. You can still visit the ancient site of Old Sarum on the hill. Of course, the biggest attraction near Salisbury is Stonehenge, that enigmatic ring of prehistoric standing stones. Archaeologists believe it was constructed sometime between 3000 and 2000 BC, and it is listed as a UNESCO World Heritage Site. The function and construction of Stonehenge are a mystery, although many theories have been put forward. 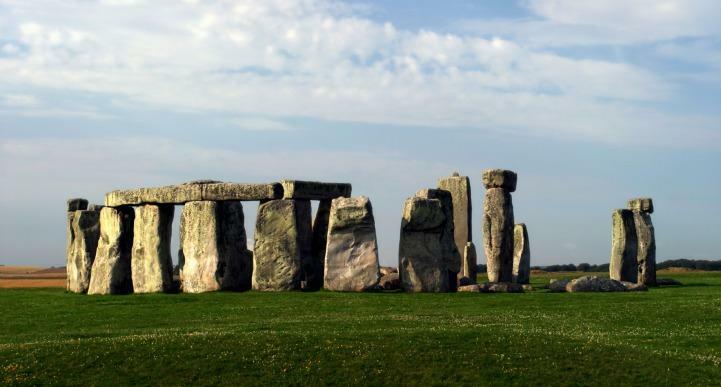 To pay the stones a visit and form your own opinion on their origins, take a slight detour onto the A303 - it should be well signposted! The next stop along the road is Bath, another historic site. This leg of the journey could easily stretch over three days, especially for lovers of literature who will undoubtedly want to investigate the stomping grounds of Shakespeare and Jane Austen. Don’t forget to get off the M-roads when you can and discover the many and varied small English towns which haven’t made it onto the itinerary. *If you're beginning your trip in the area, find motorhome rentals in Birmingham and Manchester. The baths are fuelled by the only mineral hot springs in England, which put out more than a million litres of hot water a day. 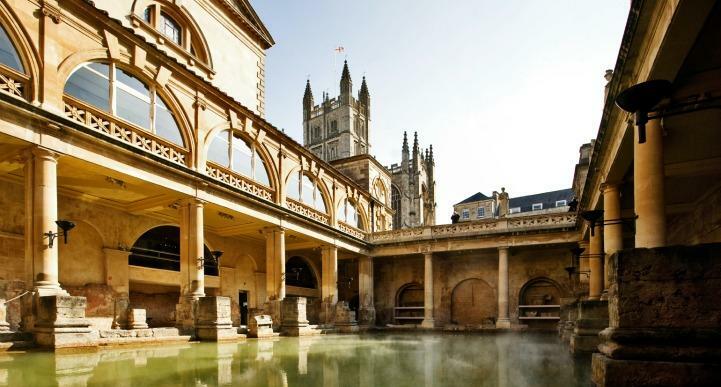 The original baths and their building complex are one of the best-preserved examples of Roman baths in the world, comprising a Great Bath, a King’s Bath, the Pump Room, the remains of a temple and more. Visitors can walk through the interesting site which also has a museum housing artifacts from the period during which the baths were built and used. While the public are not permitted to enter the water in the Roman Baths, places like the Thermae Bath Spa provide pools for those wishing to benefit from the natural thermal action. Treat yourself to a soak and a treatment before you hit the road! Jane Austen lived in Bath for several years from the age of 25, after her father moved the family there in 1800. The city has served as a setting in several of her novels, and now hosts a Jane Austen Centre. This permanent exhibit tells the story of Jane’s life, complete with staff in period dress, and explores how Bath influenced her writing. There are dress-up opportunities and photo ops, as well as a lovely Tea Rooms. The Centre is a must-do for any Austen fan! If you’re looking for something to keep the kids happy in and around Bath, and the lure of swimming isn’t enough, try the Avon Valley Adventure and Wildlife Park which is located just outside of town. Adventure, education and petting zoo activities are all on offer here year-round. From playgrounds and animal encounters to segway safaris and paddleboarding, there’s something for any age. Bath is widely recognised as one of the most beautiful spots in England, so if visual pleasures float your boat, you might like to spend a good chunk of time here. The elegant architecture ranges from pretty to imposing, and the whole city is just a feast for the eyes. Just outside of town you will also find the Mendip Hills which have been designated one of England’s “Areas of Outstanding Natural Beauty.” The limestone ridge, valleys and gorges are a stunning bit of wilderness in what is otherwise a flattish and gentle landscape - and they offer views right across to Wales. From Bath, head north on the A46 until you can join the M4 east towards Swindon, where you’ll veer off towards Oxford. This route bypasses Bristol, but if you have the time and inclination you could call in there and perhaps even cross the River Severn to visit Wales. An old and stately university city, Oxford has quite the reputation to precede it. 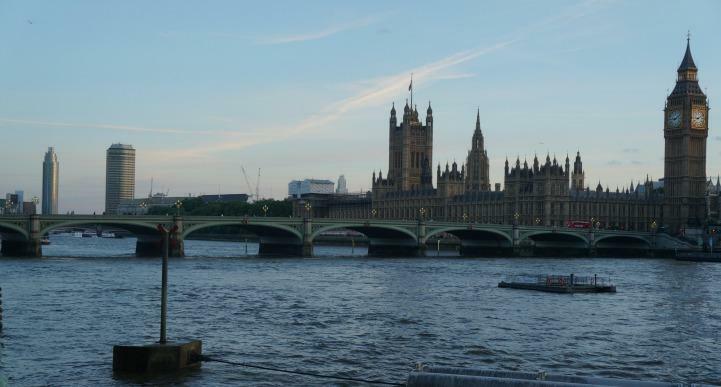 Just the name conjures visions of gothic buildings, wealthy students and rowboats on the River Thames - and you will see all that and more when you pass through or stay a few days in this fabulous city. The many colleges in Oxford (which make up the University) are more than just institutes of learning. They harbour some amazing architecture and history, and are often open to the public - although this depends on the time of year, so it is best to check. 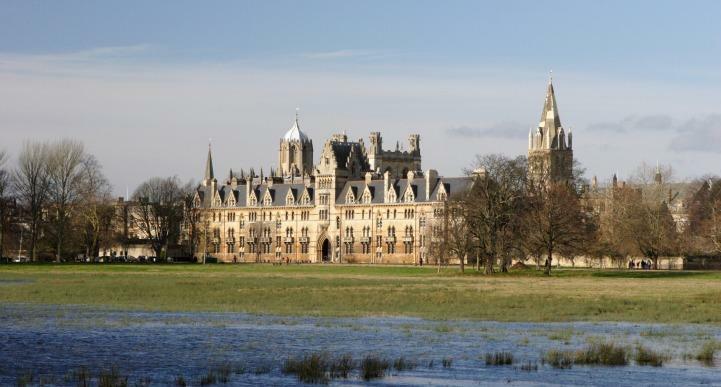 The biggest and most well-known colleges are Christ Church and Magdalen College, and you will have to pay to enter these, but there are many more which are often free to enter: Exeter College, New College, All Souls and Worcester College are a few. If you can, take in a performance by one of the college chapel choirs. The city’s colleges aren’t all that’s on offer in the cultural realm - there are many museums and galleries, churches and the Bodleian Library, one of the oldest public libraries in existence and likely the most beautiful. To see everything there is to see and hear about it from someone who knows what they’re talking about, a walking tour is a great option. There are plenty of caravan parks and campsites around Oxford and its shire, including a Camping and Caravanning Club site which is close by the attractions on Abingdon Road. Shakespeare’s hometown requires a short detour off the M40, but it’s well worth it. Tudor buildings, a charming town centre and a range of sites connected with the Bard make it the ideal tourist destination. There are many places to include in a Shakespeare fan pilgrimage. His birthplace is in Henry Street, and has been restored with decor from the period and many authentic items from his life. The cottage where his wife, Anne Hathaway, lived until their marriage in 1582 is found in nearby Shottery and has also been restored with family heirlooms. The Royal Shakespeare Theatre hosts productions of his plays - if you want to catch one of these, it’s a good idea to reserve tickets in advance! For many Shakespeare lovers, the most important spot to visit is the Holy Trinity Church, where the man himself lies buried. The parish welcomes those who come to pay homage at his tomb, however it is a “real” church and not a tourist attraction, so visitors must be respectful of services and are asked to make a donation of two pounds for running and maintenance costs. The Royal Shakespeare Company offers options for families who want to discover the Bard’s plays together. School holiday events, free exhibitions and trails and family tours are available, along with fun workshops like “Stage Fighting” and “Speaking Shakespeare.” Check their website before your visit to see what’s on, and you could have an educational day out that the young ones will love. After departing Stratford, you can skirt Birmingham on the M6 Toll road and continue north towards Manchester. The Peak District National Park is a short journey off the M6, and a wonderful destination for any road tripper - if nature is more your thing than urbanity, why not stay in a campsite there before or instead of heading into the city? The rugged landscapes are dotted with ancient stone villages, and Chatsworth House sits on spectacular grounds in the southeast. 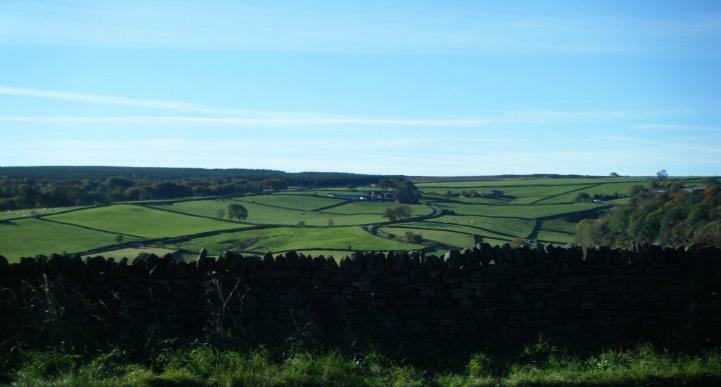 Rolling hills, windswept plains, imposing ridges and all kinds of recreation activities including some great walks make this a beautiful and unforgettable part of Yorkshire, outstripping anything that man can offer. 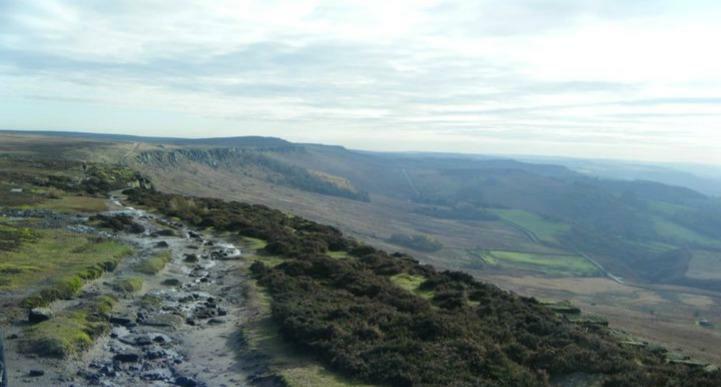 If you are itching to get your boots on and start rambling, the Peak District is an ideal place to do it. There are many short trails of the kind you can find all over the country, but also some much lengthier and more difficult hikes which open up the opportunity for adventure. Try the 74-kilometre Limestone Way or just ask around in the villages for some good routes and tips - you’ll find the best outings are the ones you won’t see in guide books! Caving and paragliding are also offered in the region, and those extremely fit holidaymakers might want to check out the fell running events which happen most weekends. This leg of the trip doesn’t cover a lot of ground along the main route, but it passes two of Britain’s most amazing national parks - so you’ll definitely want to get off the beaten track and explore. If scenery and the outdoors are your thing, plan to spend some time in the Lakes District before you carry on into Scotland. *If you're beginning your trip in Manchester, find your nearest motorhome rental depot here. Once an industrial centre, Manchester is fast becoming England’s cool northern capital. It has great music and nightlife scenes, a strong football heritage and is one of the country’s most popular shopping destinations. Close to Liverpool, Blackpool and Leeds, it’s an ideal base for the region. Museums make up quite a few of Manchester’s attractions. There is the northern branch of the Imperial War Museum, the Manchester Museum, the People’s History Museum, the National Football Museum and the Museum of Science and Industry, along with quite a few galleries including the iconic Lowry which contains a huge collection of works by LS Lowry. For a more contemporary bit of sightseeing, visit Coronation Street! You can take a tour of the set of the famous series and get a picture at the bar of the Rovers Return, with guides sharing stories from more than 50 years of filming. Sports more your thing than soaps? 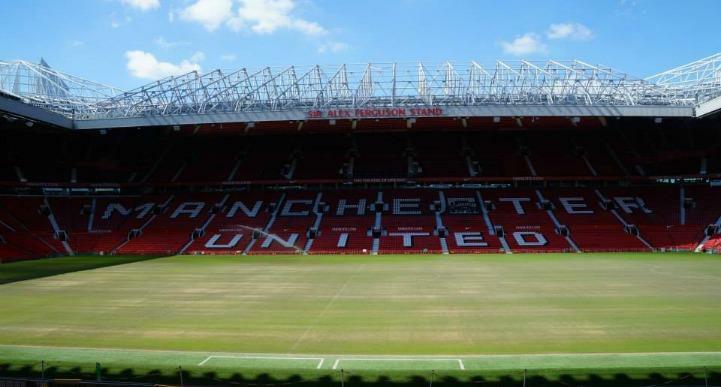 Head out to Old Trafford Stadium, also known as the Theatre of Dreams amongst the huge legion of Manchester United fans. If you can’t swing match tickets, you can book a tour of the museum and the stadium which includes the players’ dressing room, the media room and more iconic places. The Legoland Discovery Centre is just one of the fabulous family attractions in Manchester. Kids might also enjoy the Sea Life aquarium, the Donkey Sanctuary in Abbey Hey or Play Factore, an extensive indoor entertainment arena where they could work off a lot of energy before you coop them up again in the motorhome and hit the road. Depending on age and interests, the interactive exhibits in the aforementioned museums and even Old Trafford could make a great outing. Come off the M6 onto the A683 near Lancaster to visit the high moors and plains of the Yorkshire Dales. This unique landscape is punctuated with delightful villages and towns, offering a mixture of natural and cultural delights. It is prime walking country, and centres of activity include the lovely towns and villages of Richmond, Skipton, Grassington, Settle and Hawes. Some wonderful castles can be found amongst hill and dale. Bolton Castle in Leyburn claims fame as the place where Mary Queen of Scots was imprisoned in 1658. Knaresborough Castle near Harrogate has been dated back nearly nine hundred years to 1130, and was used as a hunting lodge by King John. Richmond Castle - one of the oldest in the country - perches on a cliff over the River Swale, nothing more than very picturesque ruins but holding some fascinating local history, and in the far south of the dales you will find Skipton Castle, an amazingly well-preserved building which stands guard in the southern gateway to the region. The Dales are known for their limestone “karst” scenery, a distinct landscape which forms when soluble rocks (in this case, limestone) dissolve and make sinkholes and caves. Famous karst features in Yorkshire include the Attermire Scar near Settle, Colt Park Wood, Elbolton Hill, Gordale Scar, Malham Cove and Kilnsey Crag which is popular amongst rock climbers. The jewel of Cumbria and the UK’s most popular national park, the Lake District is a simply beautiful part of the country. Green farmland, rolling hills, real mountains (in England!) and the ever-present glint of peaceful waterways make any visitor itch to get outside and explore, and when evening comes there are myriad cosy pubs for a well-deserved dinner. Roaming rabbits, squirrels and swans give the place a very fairytale feel - be prepared to lose all desire to leave Lakeland! Kendal is often considered the gateway to the district, and it is a good place to restock with plenty of shops. It also has the ruins of Kendal Castle and Cumbria’s largest parish church, Holy Trinity. However, you need to get out of town to experience the best of the lakes! If you are planning to stay a night or two, hunt out a lakeside caravan park like Hill of Oaks in Tower Wood, so you can soak in as much scenery as possible right from the comfort of your motorhome. We can’t tell you how to spend your time in the Lake District - some are content to sit by the shore and gaze at the vistas, others want to take to the trails and explore, while plenty of visitors are happy to hop from charming town to charming town. 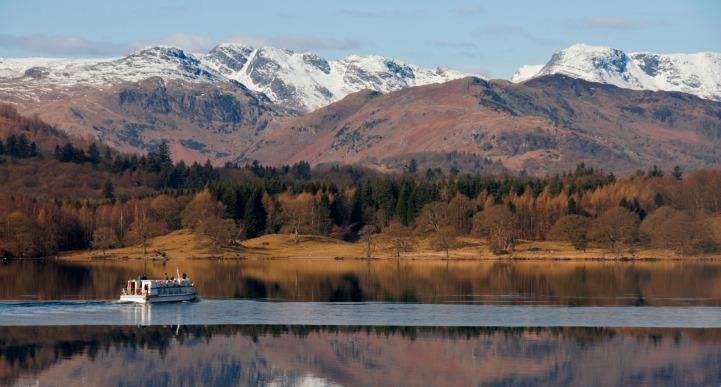 A cruise on Lake Windermere is a fun activity for all ages, and literature fans might like to take a Beatrix Potter tour or visit “The World Of Beatrix Potter” in Bowness-on-Windermere - the children’s author holidayed often in the region, eventually settling there, and the area inspired many of her characters and settings. The lakes also inspired Arthur Ransome’s Swallows and Amazons stories, who learned to sail and went to school there. Although his fictional locations don’t match up exactly, readers will certainly catch the vibe of the beloved books. Got kids? They will be delighted with the wide open spaces in the Lake District, but might tire fast of gazing at scenery. The Lakeland Maze Farm Park can swoop to the rescue, offering hours of family fun with its maize maze, farm animal encounters, trampolines, karting, tractor rides and more. Once your time at the Lake District comes to an end, get back on the M6 for the short trip north to Carlisle. *If you're beginning your trip in Edinburgh, find your nearest motorhome rental depot here. This Cumbrian capital has a somewhat tumultuous past, having been invaded by Vikings, Scots and Border Reivers at different points throughout its history. 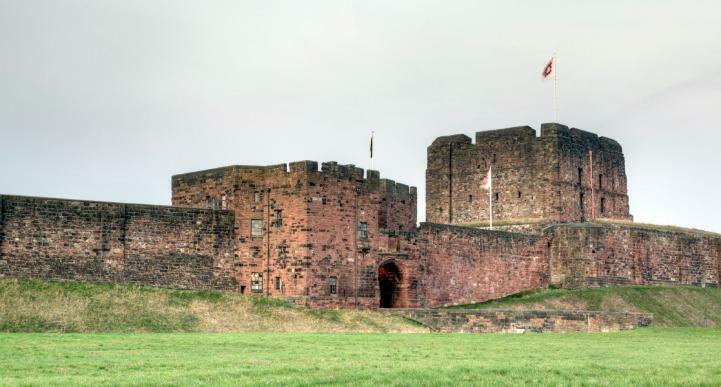 The city’s castle, with its rust red walls, was built in 1092, formed around an ancient Celtic and Roman stronghold. The views from the battlements are impressive, and the castle has a lot of defensive work on its resume from the past centuries. The Carlisle Cathedral is another impressive bit of historic architecture, founded in 1112. Its most striking feature is the 14th-century East Window, one of the largest Gothic windows in England. Hadrian’s wall is a popular attraction in the region. Although some mistakenly assume the wall is a border wall between England and Scotland, it is in fact the remains of an ancient Roman defensive wall which effectively served as the northern limit of the Roman Empire - miles short of the border. Once across the border and past Gretna Green (where many lovers once fled to marry away from strict English marriage laws - it’s still popular for elopements) you will find yourself in the Scottish lowlands. The M6 becomes the A74(M), and you will veer off on the A702 through Lanarkshire towards Edinburgh. Enjoy passing through the many small villages with their charming grey stone houses and cottages - stop off for a cup of tea and enjoy the countryside! As final destinations go, Edinburgh is a good one. Ending up in the Scottish capital means you have time to look around after you have dropped off your motorhome rental, and with a functional public transport system and endless things to do and see, you will be able and willing to explore. Just wandering down the historic Royal Mile in central Edinburgh is a treat for the eyes. Inviting and enigmatic wynds and alleys snake away from the main road, centuries-old pubs beckon you in for a pint, tall buildings tower over the busy cobbled street and signs advertise tours of the spooky Edinburgh that lies beneath the surface - sometimes literally. Mary King’s Close was one of the narrow streets which was built over during the 18th century and has been excavated to allow tourists to eerily experience what medieval life in the city was like. 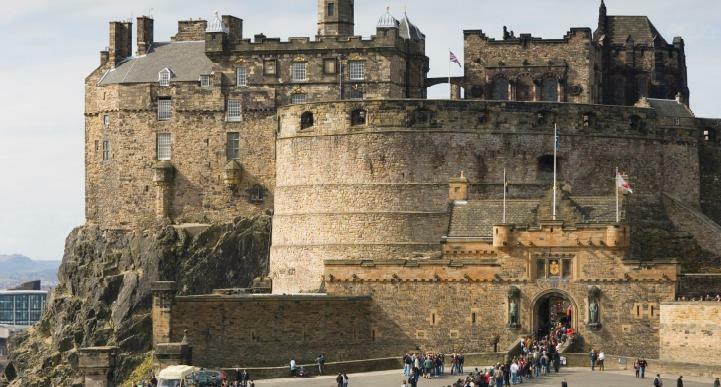 At the top of the Mile is the famously imposing Edinburgh Castle, open to visitors, and at the foot of it are Holyrood Palace and the Scottish Parliament, both important buildings housing the decision-makers of their respective eras. You won’t have to walk far between attractions on and around the Royal Mile. As well as the castle and palace at either end, there is St Giles’ Cathedral, the North Bridge with its spectacular views, the Museum of Scotland, the Edinburgh Dungeon and myriad places to eat, drink and buy tartan, cashmere and whiskey. 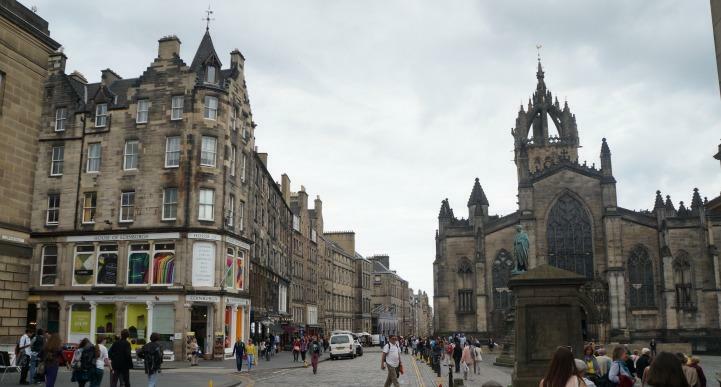 Head down into the “New Town,” the alternative city centre, and you will get a great view of the imposing granite buildings of the Royal Mile from below. A little less tourist-focused than the Old Town (although still a designated UNESCO World Heritage Site), this is the primary shopping and commercial district, built on a grid pattern of streets and lanes. Highlights of the area include the Scott Monument in Princes Street Gardens, the National Gallery of Scotland and the Scottish National Portrait Gallery, the historic Dean Village and the shopping and dining available throughout. Families can enjoy many of the attractions previously mentioned, including the museums and the spooky Mary King’s Close (not recommended for the very little tykes). The interactive “Our Dynamic Earth” natural history centre and the Camera Obscura and World of Illusions are also fun places to visit, the latter offering a unique perspective on the city with panorama image projections in a rooftop chamber. The Edinburgh Zoo, Gorgie City Farm and Butterfly and Insect World cover entertainment for animal lovers. Our route ends in Edinburgh, but your holiday doesn’t have to. The lochs, peaks, castles and whiskey distilleries of Scotland await, and whether you drop off your motorhome and join a tour or keep it and make your own way, you’ll love your time in this beautiful country.